Dumbest statement I've ever heard. He wanted to stay home with his newborn baby, geez. That's why he wasn't over there earlier. Can't say I entirely blame him, he probably didn't have a lot of faith something was REALLY going to get done. Today was a pleasant surprise for me. Digitalgypsy66 wrote: He wanted to stay home with his newborn baby, geez. That's why he wasn't over there earlier. Exactly! And by going over at all...he was getting his deal with a team done in case the season was canceled and all the other displaced NHL'ers were looking for work. It wasn't dumb at all. I wouldn't be surprised if letang was a numbskull in real life, but this move wouldn't be related to that. I'm glad he gets to come home to his baby. That's gotta be a tough thing to do - leave for Russia right after your first child is born. note to self; *have to find out how giroux and nash are with their injuries. But it helped with his frequent flyer miles. Landed just in time to get back on the plane and come home. Hopefully he gets plenty of rest on the plane for camp. Last edited by SolidSnake on Mon Jan 07, 2013 12:49 pm, edited 1 time in total. Looks like Michel Therrien after a serious binge. 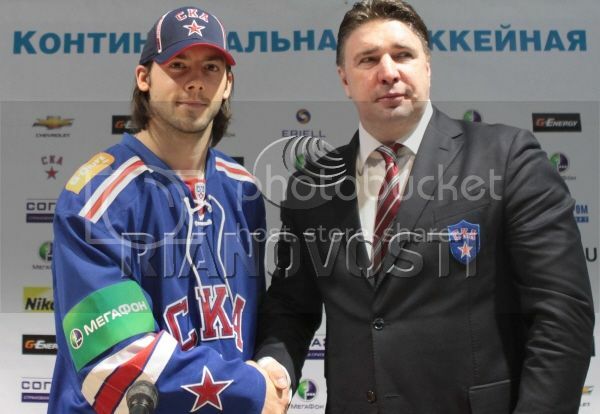 As I tweeted earlier, the obvious explanation is that Kris Letang was covertly sent to Russia as a sleeper agent by Ray Shero. He was tasked w/ ensuring the safe return of Evgeni Malkin. Clearly. Maybe he thought he was going to Peterborough.